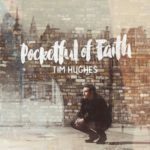 Tim Hughes: Pocketful of Faith - WorshipFuel by CCLI® - Worship, Music, Copyright ... add fuel to your worship! Tim Hughes is a busy man. As well as heading up the worship training ministry Worship Central he served as Director of Worship at HTB in London until his recent relocation to Birmingham, taking with him the Worship Central team and planting a church. It’s been fantastic to be back in the studio recording a solo project. I’ve loved recording the Worship Central albums over the last few years. The collaboration – leading with great friends has been hugely exciting. But with this project, it’s been a very personal one. The last 18 months have been pretty big for my family and I as we’ve moved out of London into Birmingham to plant a church, stepping into the unknown. It’s been hugely exciting but we’ve obviously felt hugely out of our depth. A lot of the songs featured on this new record carry so much of that journey of faith, hope, trust and vulnerability. It’s been amazing to work with Nathan Nockels and I’m really excited this project is finally complete. Is there a story behind the album title? Pocketful of Faith was a title Nick Herbert brought to me. We were writing together and he had the phrase and I instantly loved it. Jesus said in Luke 17 v6 that if you have faith as small as a mustard seed you can say this mulberry tree, ‘Be uprooted and planted in the sea’. It’s a pretty crazy concept that our small faith in God’s hands can have such a huge impact. I guess today a modern image would be what’s in your pocket. I have a plectrum, perhaps a crumpled up receipt and a couple of coins. It’s not much and it’s not going to change the world. But as the Bible says, if we hand that over to God and allow Him to breathe upon it and bless us, then truly extraordinary things can begin to happen. That’s the story behind this album, that God can take the small limited offerings we can give, and do something extraordinary with them. You were ordained in 2013 and you moved to Birmingham in April to plant a new church. How have you managed to write and record and album as well? It has been a pretty crazy 12 months, but to be honest with four kids life always feel crazy! I have though, over the last year, been really determined and disciplined in carving out time to write. It’s been hugely cathartic to write these songs as I’ve been processing so much in my own personal walk with God. Great songs of devotion spring from that life of devotion and so I think it’s been a natural process to keep coming back to God and finding words to express what I’ve been feeling in my heart. It’s also been hugely important to collaborate. It’s been amazing to work with so many fantastic songwriters. Phil Wickham, Matt Redman, Martin Smith, Reuben Morgan, Jonas Myrin, Nick Herbert and many others. Spending time with people you love writing songs is such a privilege and putting those dates in the diary has enabled me to keep finding time to writer and be creative. How are things going in Birmingham? We’ve had a great couple of months in Birmingham, settling the family and beginning to build a team. We’re now in possession of this incredible building right in the city centre. It used to be a warehouse used to source and generate all of the gas used to light up the street lamps in Birmingham. It’s been lying empty for over 15 years. But now builders are beginning to move in and we feel prophetically it’s going to be a place that once again is a source of light, an everlasting light. Our vision is that we might see Birmingham lit up with the love of God. We hope to launch services late September-early October and we’ve already been blown away by God’s miraculous provision. You still head up Worship Central. How’s that going? Will your responsibility for Worship Central change now you’re in Birmingham? I’m going to continue heading up Worship Central. We feel just as envisioned as we ever have and actually have a whole bunch of exciting projects that are being developed. The exciting thing is that the team are moving from London to be based in Birmingham. I think that will give us a real connectively with the rest of the country and will help us further think how we can best resource churches in terms of worship. We’re staying hugely connected with HTB, Alpha and all that’s happening in London, but it feels exciting to have a fresh lease of life. Moving on to talk about songwriting, do you deliberately write songs that you hope are easy for the church to sing? I feel most alive leading worship and using songs that hugely connect with people. So yes, when I’m writing that’s a big thing for me to make sure the melodies are accessible. Of course you want to keep moving things – developing things – creatively, but I’m not interested in writing a bunch of songs that no one wants to sing. That’s one of the hardest challenges but when it comes together its truly amazing. When CCLI interviewed you and Luke (Hellenbronth) in 2013 you said that a good song has to move you and that many songs in the Church are devoid of that. Why do you think that is? Do you think the standard of worship songwriting is improving? Worship songs are obviously influenced by styles and trends in music more generally. Which writers or styles excite you right now? I’ve always loved Coldplay. I do think Chris Martin writes the most amazing melodies that are so engaging. Because my kids are into them I’ve also been listening a lot to One Direction. I hate to admit it, but they do have incredible songs. In terms of new music, I’ve been loving Ed Sheeran’s new album X as well as Brandon Flowers’ new album. How important is CCLI for songwriters and the standard of worship songs being written? CCLI has been important in giving writers an opportunity to invest more seriously in their gifts. So often the church can be lacking in investing in creativity, really honouring artists and creatives. I think CCLI has freed up many writers to give their best to serve local churches. With so much going on, how do you get away from it all? For me spending time with my family and friends is a great way to disconnect and catch up on rest and relaxation. Finding space in my life is hugely important to sustain all that I do and to keep a fresh sense of perspective and vision so that I don’t end up getting tired and stuck in ruts. Pocketful Of Faith was released on 16th July 2015. Song resources for the album can be found on CCLI’s SongSelect. Tim was talking to Rich Burrough of CCLI’s UK office.